All seven novels analyzed in this thesis demonstrate an evolution of morality, both for individual characters as well as within the genre of children’s fantasy literature when these texts are united as a whole. Starting with Victorian morality and characters like Alice and Sara who demonstrate a consciousness of proper societal practices and behaviors, both Carroll and Burnett portray the girls in such a way that they do not fully adhere to these practices, or rather, are independent of them. Alice, an example of a typical upper-class Victorian child, finds herself alone in Wonderland. This is not surprising due to the fact that in upper-class Victorian culture, the children are often kept separate from their parents, either being physically kept in a different part of the home like the nursery or sent away to places like boarding schools where their primary care is given by another, usually a non-parent adult figure. This Victorian trait of separation is true in the stories of both Alice, who is physically kept separate from her family in Wonderland, and Sara, whose father sends her to boarding school in England. However, in both novels the child characters manipulate their settings in order to grow or mature independently. Alice claims power for herself in Wonderland when she stands up to the Red Queen, something which strays from the stereotypically “proper” behavior of Victorian girls, and by having her grow larger at the end of the novel, Carroll demonstrates a literal growth in her character. Similarly, in the world of her boarding school, Sara’s use of imagination manipulates the space around her, allowing her to be a princess even in the confines of her destitution. Just as Alice differs from the “proper” Victorian child, as does Sara in her fluctuating social status. Though still an orphan, by the end of the novel Sara’s wealth has returned, giving her a social status higher than Miss Minchin who has treated her so poorly, resulting in the social destruction of both Miss Minchin and the school. Though Miss Minchin is an adult, Sara’s social power is one that separates her from the traditional Victorian power structure of adult and child. In the end, both Carroll and Burnett utilize their child characters’ lack of parents or parental supervision—something not unfamiliar to the traditions of the upper-class Victorians—to promote the growth and independence of Alice and Sara as individual selves. In this way, both female characters are able to experience moral growth that is separate from the societal expectations of the Victorian era; something which is largely influenced by the manipulation of the fantastic second-world that exists in each of the novels. Barrie, too, demonstrates a separation from the social expectations of the late Edwardian era in Peter Pan. Barrie blends character traits of both the middle and upper classes in his depiction of the Darling family. The family is rather close, something Barrie expresses in his portrayal of Wendy’s love of sharing her mother’s jewelry and knowing where Mr. Darling’s medicine is kept, and yet the Darlings have both a nursery in their house and a nanny to take care of their children. Closeness of family is a trait commonly attributed with middle-class Victorian families as they could not afford to keep a nanny on staff. Barrie mocks this, however, through his use of Nana, the Darling’s nanny who also happens to be a Newfoundland dog. Although the family has both a nursery and a nanny, neither of these things can be taken seriously due to the ridiculousness of their nature. Thus, the family’s status is questionable. Barrie’s depiction of the Darling family is demonstrative of the shift of the Edwardian period away from its Victorian predecessor. Unlike in Alice’s Adventures in Wonderland or A Little Princess where it is clear what class status both girls possess through their reference to cultural norms (making it easier to detect when they depart from these norms), the Darling family is one that blends the moral and familial traits of both the upper and middle classes, confusing the reader’s understanding of which class’ morals they should be expected to follow. This is something that is also expressed in Wendy’s desire to return home after her experiences in Neverland. Although she is a child who has grown up in a household that does keep the children partially removed from the parents (due to the physical separation of the nursery from the rest of the house), Wendy expresses pity for her parents upon realizing that she can no longer remember them. In the end, she actively desires to return home rather than stay young forever in Neverland. Wendy’s acknowledgement of the real-world consequences of her actions while in the fantastic realm demonstrates her growth as a character, and this directly relates to Barrie’s characterization at the beginning of the novel. Without the contradictory elements that make up the Darling family’s dynamic, the moral growths of the children in Neverland would not be able to take place as neither Wendy or her brother’s would feel the pull to return home that they do due to the closeness of their family ties. As explored earlier in this essay, a shift in morality is also apparent in C.S. Lewis’ The Lion, the Witch and the Wardrobe, where the four Pevensie children face moral challenges that stimulate their own growth as individuals and propel them toward adulthood. The coming-of-age subgenre, although present beforehand, increased in prevalence after the turn of the 20th century. Lewis’ choice to merge this subgenre with his work of children’s fantasy literature is interesting when his history with war is taken into account. The influence of Lewis’ participation in World War I on The Lion, the Witch and the Wardrobe is unknown; however, parallels can be drawn between the innocence lost in war and the forced growth that many soldiers experienced, and the moral growth of the Pevensie children (Melton). The scenes of war in Narnia are often—if not entirely—depicted with clear divisions between those who are good and those who are bad. In the real world this is often not the case; however, it is this divide that allows the Pevensie children to grow in “goodness.” This particularly applies to Edmund whose initial introduction to Narnia was through the White Witch, who exposed his more selfish and evil characteristics. There is an evolution for Edmund’s character in particular that forces him to acknowledge his own faults and redeem himself in the eyes of Aslan, his siblings, and the reader. Whether or not Lewis intended to draw moral parallels between the war in Narnia and his own experiences in World War I, the two share the general idea of a progression of growth. During a time closely proceeding an event of worldwide strife, The Lion the Witch and the Wardrobe provides a fantastic world in which the barriers between good and evil are very clear, and there is no doubt for the characters or the reader who is “good.” This clear divide is something which is desired in war but often not achievable, as “good” and “bad” are typically muddled; a truth that Lewis may well have known, and thus created a world where this is not so. Just like Alice, Sara, and Wendy before them, the Pevensie children also reject the real-world setting of their novel; most notably Lucy, when she refuses to question the goodness of Aslan and the righteousness of the fight against the White Witch. Both Peter and Susan also demonstrate these same qualities later in the novel when they do not hesitate to fight on behalf of Aslan and Narnia in order to defeat the evil witch queen. Unlike the turmoil the child characters were experiencing in the real-world of the novel (as they are implicitly sent to the English countryside in order to escape bombings in London which took place in World War II), Lucy, Susan, and Peter are able to escape the confusion of the war in the “real” setting of their narrative and, rather, take part in a war with clearly marked sides. Edmund, too, eventually joins the side for good and redeems himself. In this way, all four characters are able to progress toward adulthood with a positive moral growth that stems from their choice for good. Charlotte’s Web and Bridge to Terabithia, also texts in the coming-of-age subgenre, have parallels to their authors’ own lives, reflecting the moral growth of their characters. In 1938, E.B. White’s move from New York City to rural Maine greatly influenced the setting in Charlotte’s Web in which nature is emphasized as a haven for both character growth and the fantastic (Neumeyer). White was known to love the privacy and seclusion of his farm; a seclusion which is necessary in Charlotte’s Web as the barn acts as a fantastic “other-realm” for Fern in her growth as a character. A large portion of Fern’s individualized growth in the novel, though a concern for her mother, takes place in part due to her ability to communicate with the animals in her uncle’s barn and witness them as her friends. The unusualness of her interactions with the animals in terms of what is “normal” outside of the barn (animals that do not talk) is what sets Fern apart as a character who, in her own way, rejects the traditional setting of her reality. At the same time, the seclusion of Fern’s experiences in the barn also makes Fern’s transition closer to adulthood at the end of the novel more prominent. White’s fascination with nature and its influence on relationships—something which is demonstrated by the rural setting of the barn and the friendships Fern builds because of it—makes her transition toward adulthood even more obvious when she chooses to stray from these friendships (Neumeyer). When Fern chooses to leave Wilbur at the fair in order to play with her male friend Henry, she is actively choosing to leave the isolation of the barn in order to partake in the real world. Her interest in Henry—or boys in general—indicates her growth from childhood to adulthood. Fern rejects the barn in order to mature in the real world. Similarly, Jess’ relationship to Leslie in Bridge to Terabithia instigates his own transition toward adulthood while in a world that differs from the normal reality of the setting. Paterson’s novel, one which loosely follows the drowning of her son’s childhood best friend, delineates a world in which the main character Jess is uncomfortable with himself. Leslie’s demonstration of imagination eventually influences Jess in a positive manner, allowing him to forgive his own fears. The traditional setting of this novel, set in the southern United States, is itself a limit that defines the stereotypical roles of both Jess and Leslie; roles they each break when they become the king and queen of their imagined world Terabithia. Paterson claims to have wanted to build a world in which the grief and self-exploration of her child characters can be experienced authentically (Misheff). At the end of the novel, Jess’ moral growth in terms of his self-actualization and ability to perceive himself as strong stem naturally from his experiences with Leslie. This may be attributed to the novel based on the authenticity of Paterson’s portrayal of her real-life experiences. Rather than submit to his grief at the loss of his friend, Jess is able to appreciate the lessons Leslie taught him during their friendship, and so was able to develop in moral maturity. Both in Charlotte’s Web and in Bridge to Terabithia, Fern and Jess, like the other child characters examined in this thesis, are able to separate themselves from their settings in a way that allows them to grow morally. Fern learns lessons of morality and friendship in the fantastic second-world of her uncle’s barn through the conversations she holds and observes with Charlotte and Wilbur. These lessons then allow her to explore the adult “real” world of the novel while growing as a character which is demonstrated through her experiences in the barn; a place that is both rural and removed, allowing Fern to interact with nature in an environment free from social restrictions. Jess, too, demonstrates a growth in his character when he welcomes his sister to Terabithia at the end of Bridge to Terabithia. Rather than allowing May Belle to succumb to her fears, Jess explains (in a way that is opposite of his character traits in the beginning of the novel) that one should not be ashamed of his or her fears. Like Fern, Jess is able to utilize the lessons he learns in Terabithia and transfer them to his experiences in the real world, demonstrating an individual maturation of morality. Lastly, Harry Potter and the Philosopher’s Stone, just as its predecessors (particularly The Lion, the Witch and the Wardrobe) in this thesis have shown, also depicts a conflict between good and evil that results in the positive development of morality for its child characters. Much of Rowling’s early influences stemmed from her relationship with her parents, primarily her mother, whose death contributed toward several scenes and/or depictions of love and death in Harry Potter and the Philosopher’s Stone, and Rowling’s life as a single mother (Orford). Harry must confront Voldemort at the end of the novel and face the man who murdered his parents; however, it is by the love of his mother, who sacrificed herself when Harry was an infant so that he could live, that Voldemort is defeated at the end of The Philosopher’s Stone. The love of Harry’s mother, something which he yearns for in her absence and which he experiences at the end of the novel with his defeat of Voldemort, is a consistent theme throughout the text. Parallels can be drawn between this conflict and Rowling’s own grief after her mother’s passing. Rowling draws from her own experience with losing a parent, not only making this one of the larger themes of the book, but also one of the moral challenges that stimulates growth in Harry’s character. Upon discovering the love of his mother is still with him, literally demonstrated in Harry’s fight with Voldemort, Harry is able to truly embrace goodness and its triumph over evil. In much the same way, Rowling’s experience as a single parent can likely be read as an influence on the growth of Harry’s morality, demonstrated through his ability to establish a life for himself at Hogwarts that is separate and improved from the life he knew with the Dursleys. After divorcing from her husband, Rowling moved to Edinburgh where she was jobless, a single mother, and had little familial support with the exception of her sister who lived nearby (Orford). However, it was in this setting that Rowling was able to begin constructing the novel that would later lead to her immense success with the Harry Potter series. Rowling’s initial lack of familial support with her ex-husband is reflected in Harry’s time with the Dursleys; a household that not only did not want him, but despised him. Transitioning from the Dursley’s household to Hogwarts, Harry is able to make friends and establish a life that is far more morally rewarding than what he had previously lived. Rowling, too, in her move to Edinburgh and her creation of Harry Potter and the Philosopher’s Stone while in an ambiguous state of unemployment, experienced significant transition in regards to what she knew as normal, and it is quite possible that this change in her personal life was reflected in Harry’s own moral progressions. By tracing these moral progressions throughout all seven novels combined, there is a clear pattern of characters deviating from the societal norms of their personal realities. In each era of history and in each setting of the novels, the characters in all of these works of literary importance display traits of independence that strengthen each of them morally and, in many cases, this enforces a progression toward adulthood. These works are both a reflection of the eras in which they were published and a rejection of them. 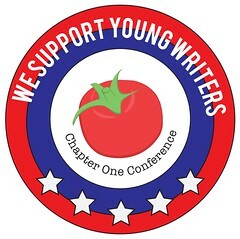 Authors Carroll, Burnett, Barrie, Lewis, White, Paterson, and Rowling have all produced characters that uniquely embody a change from what is considered societally acceptable to something that inspires personal growth and the achievement of “goodness.” It is this change that allows readers to both relate to, be inspired by, and learn lessons from the experiences of these child characters.